I want students to know that there is a voice for them, that there are people out there fighting for them who are just like them. As a high schooler in California, first-generation college student Diana Aguilar was a volunteer in her younger sister’s kindergarten classroom. Through this experience, she discovered her desire to work toward achieving educational equity for students of all backgrounds. As she started to increase the number of hours she spent at her sister’s school, Aguilar noticed that Spanish-speaking parents were approaching her to learn about how their children were progressing at school. At first, she was perplexed by their inquiries. As a child of Mexican immigrants who only speak Spanish, Aguilar had grown accustomed to acting as a mediator. 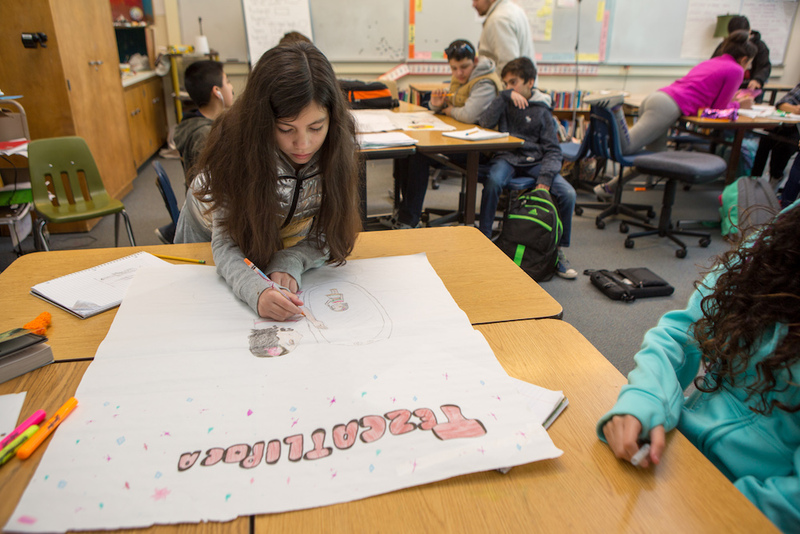 Through her time in her sister’s classroom, Aguilar realized that her personal experiences enabled her to support Spanish-speaking parents in a unique way. After graduating from community college, Aguilar started looking into education programs that would prepare her to support students and parents from diverse backgrounds. When her mentors in California mentioned the University of Washington, Aguilar felt that the flexibility and values of the UW College of Education’s Early Childhood and Family Studies (ECFS) program were complementary to her academic interests. Now a senior, Aguilar said a research project in senior lecturer Carrie Brennan’s course on social policy, children and families helped set the course of her studies. For the project, Aguilar decided to analyze the allocation of funds in California school districts. After getting into the research, she was shocked by her findings. The project opened Aguilar’s eyes to opportunities to research and address issues of educational inequity on a macro scale, and next fall, she’ll continue her studies in the UW’s master in education policy program. In addition to her desire to initiate change in education on a policy level, Aguilar hopes to inspire first-generation college students like herself to achieve more than they ever thought possible. Aguilar plans to focus her future policy work on the K-8 sector, noting that elementary school is a crucial period for the academic development of children, which makes it a logical intervention point for policy-level change. Ultimately, she hopes to instigate systems-level changes in education policy not only locally, but also nationally and globally.